We are currently exploring avenues to enhance the standing of the charity and thus the public awareness of our activities. Since HMRC acceptance with effect from April 2010 and prior to this as a heritage group we have worked tirelessly to preserve local road transport vehicles and associated artefacts. We continue to undertake such voluntary work since January this year under Charity Commission regulation. Unfortunately we now find ourselves in a position of facing difficulties relating to business rates and charity VAT. Let us hope we can overcome these in due course. Whilst experiencing these problems other corporate bodies have welcomed the opportunity to enhance their CSR (corporate social responsibility) profiles by supporting the charity. 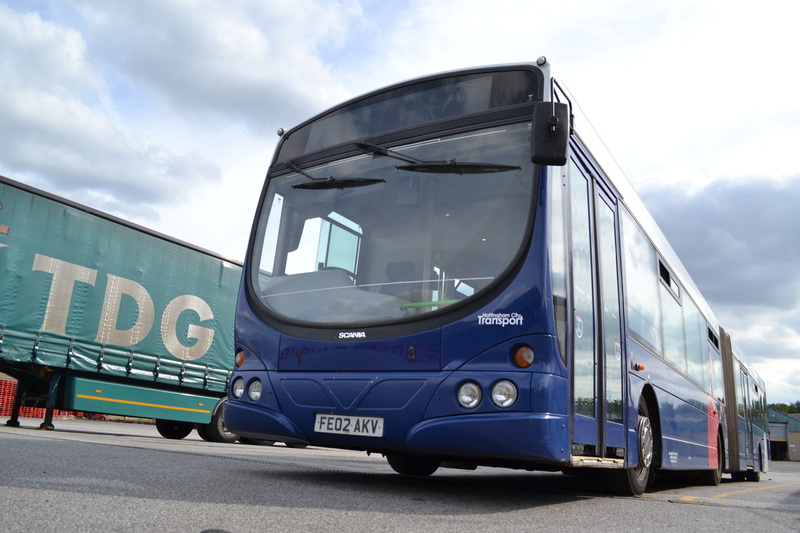 Nottingham City Transport has kindly donated bendybus 704 to us for our use. This vehicle will in time enhance the outreach projects we aim to fulfil within the local community with local community groups, schools and at public events nationwide. This project depends greatly on raising suitable funding in the region of £15,000 to support the vehicles initial conversion, storage and running costs. Can we interest you in this project ? 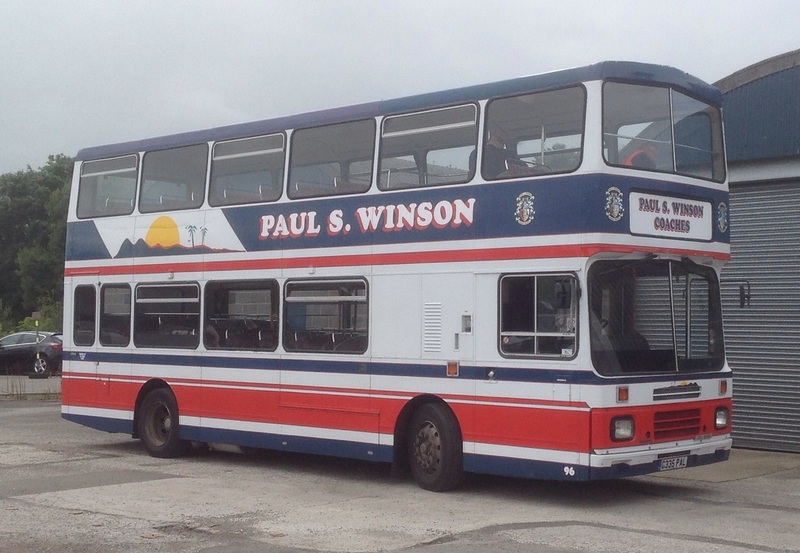 Paul S Winson Coaches of Loughborough have kindly donated the former South Notts Olympian to the charity. This was the last vehicle bought new by the now defunct South Notts Bus Company of Gotham, Nottinghamshire. Our aim once funding is generated is to restore this vehicle externally to as new condition. Can we interest you in this project ? Former Nottingham City Transport Volvo B10M 335 has also been added to the care of the charity although privately owned. This vehicle purchase has been privately funded by a supporter of the charity who intends for the vehicle to be vinyl wrapped in recognition of any large corporate donation that may be forthcoming towards our charity projects. This could include a corporate donation whereby the vehicle carries an advert for the donors own recognised charity. Any funds raised by offering the vehicle for this use will be 100% donated into the charity fundraising pot. If this idea appeals to you then please talk to us ! Media coverage is most welcome too as we are actively soliciting help from all sources in promoting the charity. We are here for public educational benefit and thus we will do all we can to expedite our planned projects. Can we take this opportunity to express our appreciation to the many hundreds of people who offered their support to us at the Nottingham Riverside festival recently. Your comments and donations have boosted our determination to get through this difficult period. Our thanks also extend to our supporters that we met at the Scottish Bus Museum at Lathalmond. Reports of our attendance at these and other events feature on the website within our members area. If you wish to become a friend of NHVC please follow the link in the navigation bar. An access code will then be forwarded to you for the members area. Any donations you wish to make can be gift aided to the charity, which benefits the charity to the sum of 25p in the pound - further details available on request.